We have all of these barbeques and get-togethers going on, usually offering those potato/pasta salads loaded with crap. What kind of side salad can we make that’s healthy? 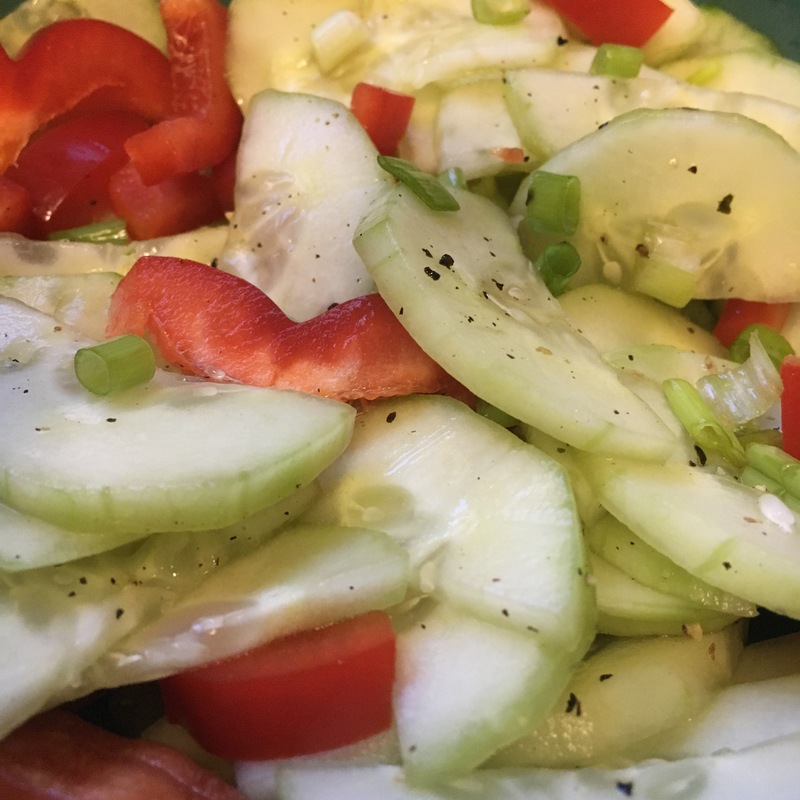 I came up with this very simple cucumber salad that hits the spot! Have it on the side of a BBQ, with any meal, or simply as a snack to help amp up your veggie intake! I used the leftovers as a topping for my salad. Yes. In a medium bowl, add cucumbers, bell peppers and green onion and toss.